This gui is one of only 15 four-legged archaic bronze vessels known to exist. 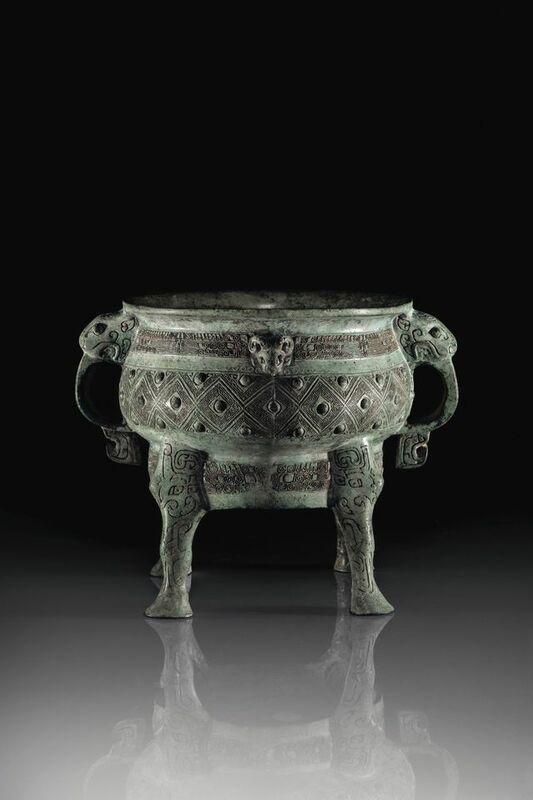 Used in ancestral rituals to offer grains to the spirits and bearing a unique inscription, it was once owned by the Qianlong Emperor—considered one of the greatest collectors of Chinese art during his reign in the 18th century—before passing through the hands of some of China’s foremost collectors and dealers in the 19th and 20th centuries. It is no surprise, then, that a similar piece smashed its estimate of $3m when up for sale at Sotheby’s in 2013, bringing in $6.6m. 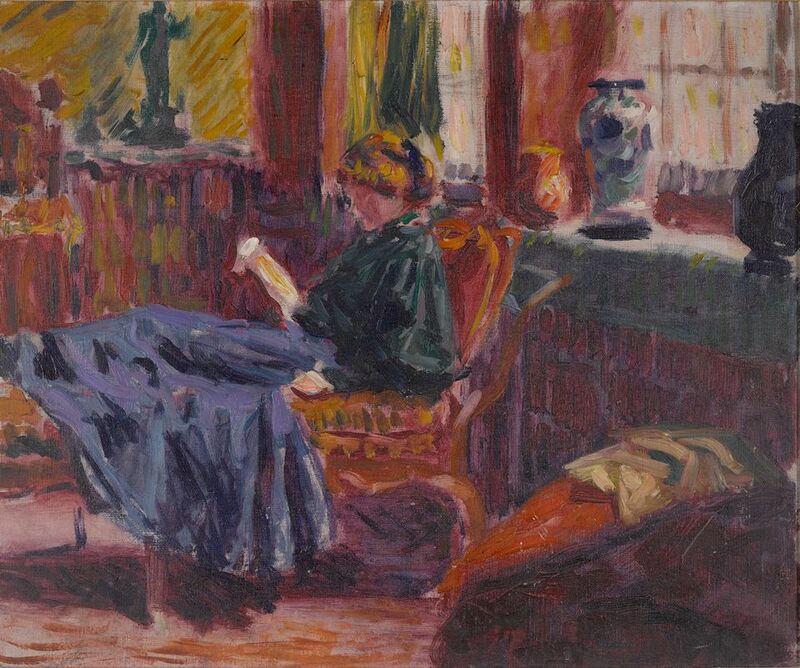 However, Christie’s has played safe with their estimate, especially since this one hasn't been up for sale in 20 years and boasts a more distinguished provenance. The Venice-born architect, designer and glass artist Carlo Scarpa (1906-78) is the poster boy of this year’s Venice Glass Week, an event started last year to revive the city’s glass-making tradition. Alongside institutional shows at Le Stanze del Vetro at Fondazione Giorgio Cini and Negozio Olivetti, there are two commercial exhibitions devoted to Scarpa: at Galleria Claudio Gianolla and ED Gallery. 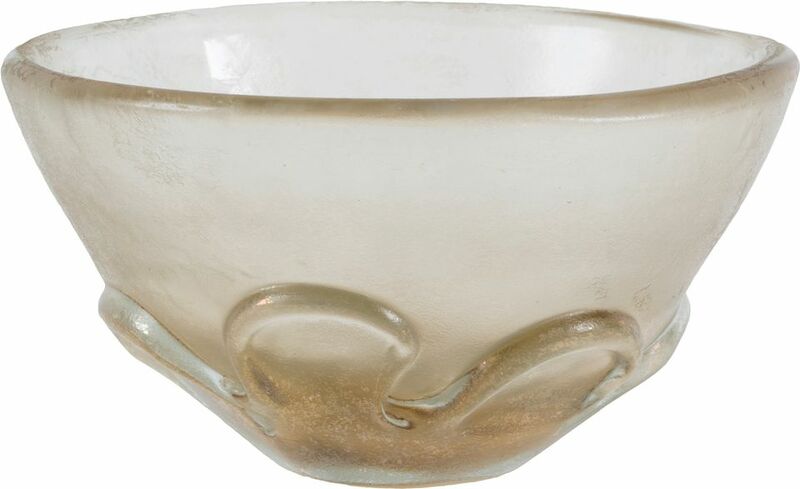 The latter’s show includes designs and finished pieces by Scarpa for Murano glassworks such as Cappellin, Zecchin-Martinuzzi and, in the case of this golden glass bowl with petals applied to the base, Venini. 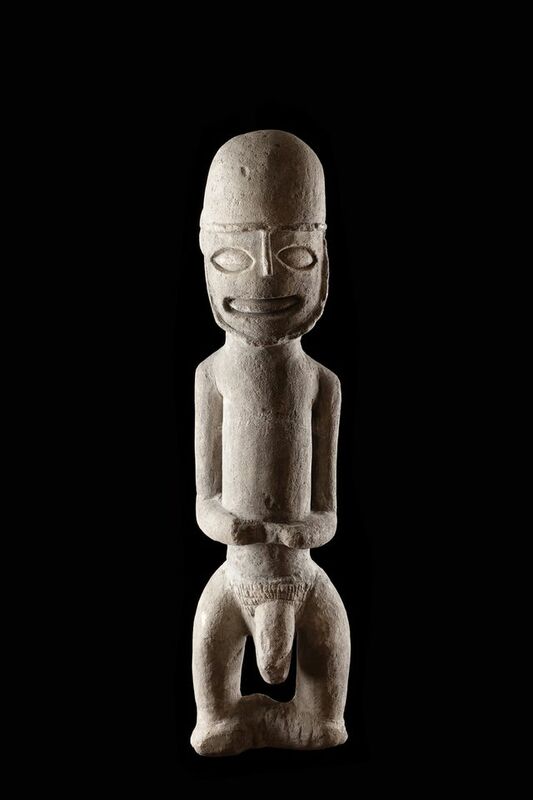 Limestone kulap figures, such as this, were a peculiarity of New Ireland (in the Bismarck island chain off the coast of New Guinea) until the early 20th century. They were made as a temporary home for the spirits of the recently deceased, to prevent restless souls running amok among the living. Placed in a shrine, they would later be broken up and the spirit released. This one, from the Namatanai area of New Ireland, which will be exhibited by Finch during Paris’s tribal gallery trail, Parcours des Mondes, survived intact. Believed to have been collected by Wilhelm Wostrack, who imposed German rule over parts of New Ireland between 1904 and 1910, it was subsequently in the Linden Museum in Stuttgart.